thank you for sharing the pictures we are wiling to purchase this truck for our towing company for a Queens NY Blocked Driveway Towing, if we get it soon so will share some pictures here. 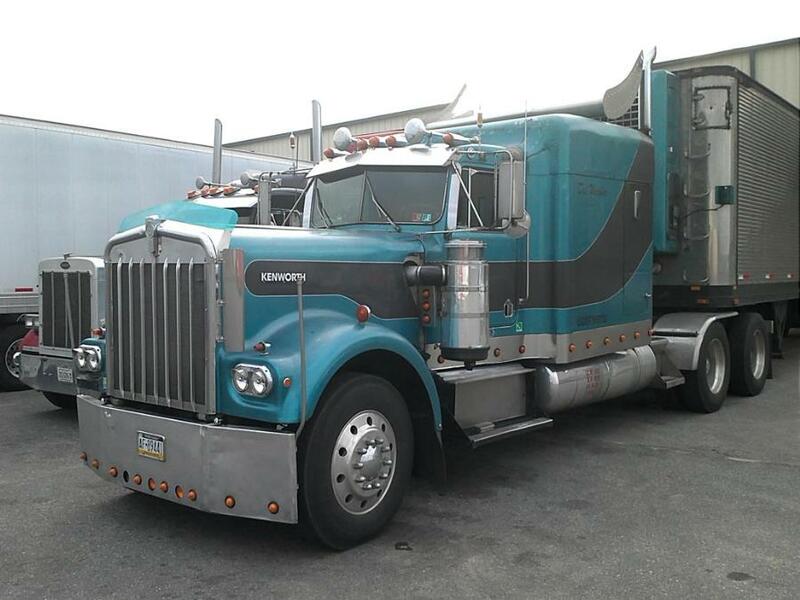 Here's Erich's photos of the '62 KW, plus a W900 running daily he saw in Quitman, Georgia. Erich, email them to me at lakaszjl@aol.com and I will post them for you. hiya everyone. 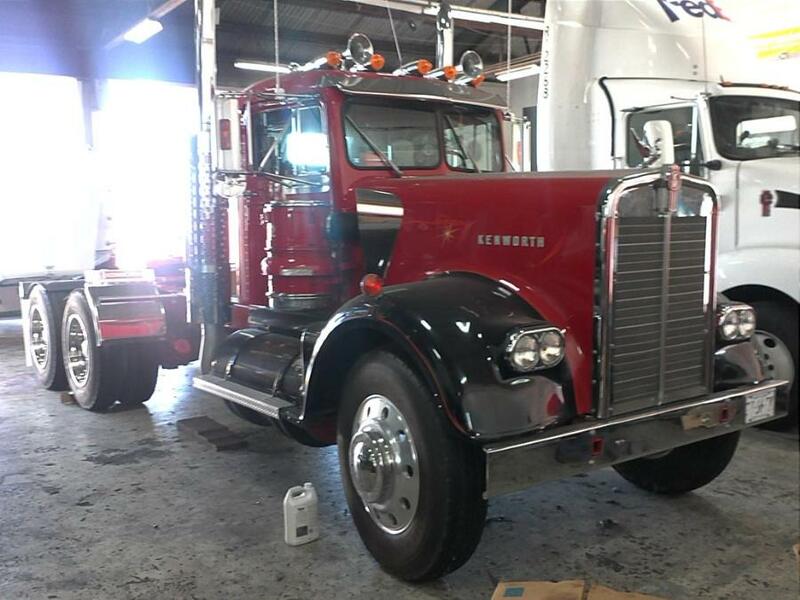 while having my truck worked on at kw central fl of orlando..i discovered this 62' KW conventional daycab. the dealership owner is the lucky owner of this amazing rig. it was taken in on a trade believe it or not. some parts are not original as the owner rob sutton stated since old stock parts are hard to come by as we all know but he did his best to keep it as original as possible. since the truck was working for a towing co until recently the engine was not original( i think it was a 220 cummins) and now has a ntc 350 cummins. i hope to get them to start it up so i could here it run. ive never heard one like that crank up since i have yet to make it to an aths truck show but i hope to do that very soon. now with my own authority and hauling reefer/produce i rarely get a chance to go sight seeing. im having a lot of work done to my truck here so ive been in orlando since friday and have had time to kick around. unfortunately i missed the aths chapter meeting. oh well. my android wont let me reply to posts in topics so pm or email me so i can respond if anyone wants to. hope you like the pics of this classic. oops. i cant attach the pics with my droid... pm me and ill send them to you or email them then you can post them for me. Execution: 0.047. 9 queries. Compression Enabled.